The Alzheimer's Association estimates that by 2025 Nevada will have some of the most seniors living with Alzheimer's in the country, but right now the disease is already devastating thousands of families across the valley. One of the families is Steve and Jacky Johnson. 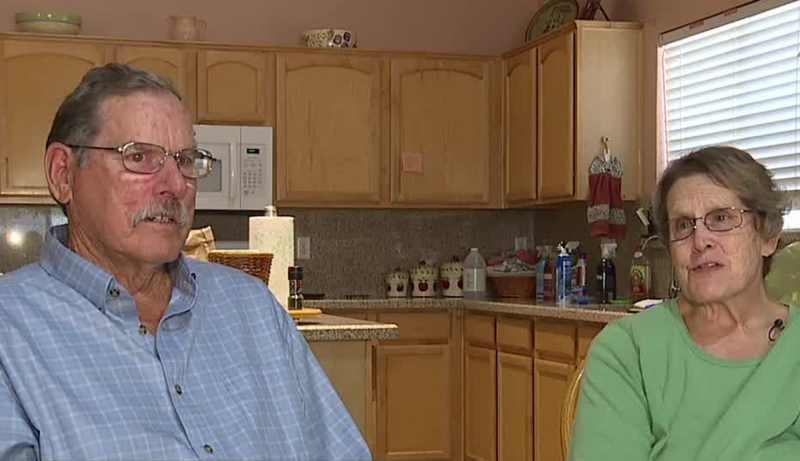 The couple met 42 years ago while they both worked at Sears and since then have had two sons. "We joke you can find anything at Sears," Jacky said. But four years ago their lives changed when Steve was diagnosed with the beginning stages of Alzheimer's at 64 years old. "It's a disease that sneaks up on people. You don't see it to start with and then it hits them," Steve said. Steve had dealt with the devastating disease before when his father was diagnosed with dementia, eventually passing away at 83. The disease has put a strain on their relationship. The reality of Alzheimer's is that Jacky has had to take the role as Steve's 24-hour caretaker, which leaves little time for herself. "I can't do the things I want to do and I want to move faster on some things and he processes slower," Jacky said. Right now, the Alzheimer's Association predicts there are about 45,000 people living with Alzheimer's in Nevada, but by 2025 doctors believe that number could sky rocket by 42 percent. "Our state is going to be one of the highest in the nation impacted," said Kat Hartley with the Alzheimer's Association. Jacky and Steve do worry about their future and if Jacky will be able to care for Steve when he can't care for himself anymore. "I don't know if I can be without her," Steve said. "She's my rock." For now, Jacky is trying to remain positive. "We been together a long time it was for better or worse and you deal with what you have to deal with," Jacky said.